Today, the Senate voted 98-0 to confirm President Obama’s nominee, Judge Denny Chin, to serve on the United States Court of Appeals for the Second Circuit. 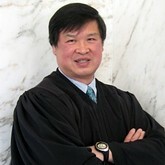 President Obama nominated Judge Chin in October of 2009. Unfortunately, as part of the GOP’s overall strategy of blocking any federal government action by the Obama administration, Judge Chin’s nomination had been subject to a GOP filibuster effort. This effort was ended when Democrats pushed successfully for cloture earlier this month, which you can read more about here. To illustrate the ridiculousness, dis-ingenuousness, and dangerousness of the GOP’s filibuster policy, once the filibuster was broken by cloture, the Senate voted 98-0 to confirm Judge Chin. This clearly demonstrates the GOP is simply trying to bring the Obama government to a standstill for whatever sad political gain they think it will give them instead of acting on genuine principles or policies. All Americans should join together in denouncing the GOP’s actions as nothing more than political trickery, if not closely approaching a violation of the oaths the Senators take when assuming their offices. Judge Chin will become the only Asian-American judge to sit on a federal Court of Appeals. He gained notoriety recently as the judge who presided over the Bernie Madoff trial in which he sentenced Madoff to 150 years in prison for the largest-ever Ponzi scheme. Judge Chin is widely viewed by most moderates and many liberals as an excellent choice by the Obama administration to fill the vacant seat on the Second District from which United States Supreme Court Justice Sonia Sotomayor was also chosen. The Second Circuit is well-known as a federal appeals court which hears many white collar and finance-related crimes and wrongs, so our country certainly needs the best possible judges on this circuit in the wake of such outrageous wrongs as the Madoff scandal and the current allegations against Goldman Sachs. You can read more about the Chin nomination here and here. If you agree with me that the GOP’s filibuster tactics are wrong, join my Twitter stream here. I frequently tweet about this issue as well as other progressive causes. I also ask anyone who is as concerned about the actions of the GOP on the workings of the federal government, particularly President Obama’s administration, I ask that you join the Facebook cause, “I Support My President,” here. This entry was posted in courts and tagged Denny Chin, Goldman Sachs, GOP, Senate, Sonia Sotomayor, Supreme Court of the United States, United States Court of Appeals for the Second Circuit. Bookmark the permalink.